This Castle Has 4 Activities in One! 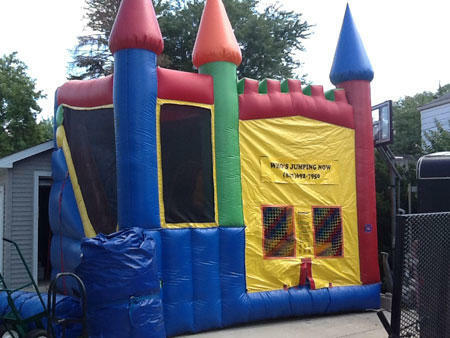 This Primary color 4 in 1 Castle Combo Bounce house a large bounce area with a basketball hoop inside, and a 14ft climb & slide. With it's colorful castle spires, this will make for an awesome castle party! Great addition to any event!